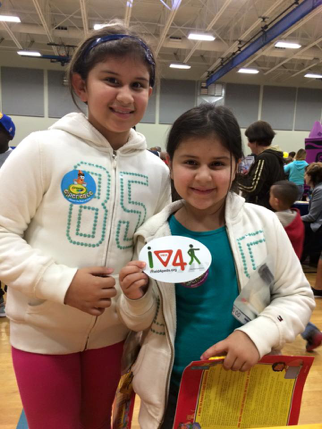 “IY4Peds” bumper stickers and answered parents’ questions about pedestrian safety. The phrase, “Oh yes, you need to read this!” was echoed by many as children grabbed safe walking coloring books and educational materials to play with back at home. The Three Kings Day celebration didn’t stop there. OCSO Sheriff Demings and OPD Police Chief John Mina kicked off Three Kings Day festivities with the National Latino Peace Officers Association’s (NLPOA) Central Florida Chapter in Azalea Park. With safety being top of mind, parents, children and seniors lined up for free bike helmets, participated in bike raffles and received their share of “IY4Peds” bumper stickers. People crossing the street safely is a king concern in Pine Hills. Just recently, a person driving collided with a nine-year-old walking across the street after playing at the Boys & Girls Club. This child did not survive. The Pine Hills Neighborhood Improvement District, the local Boys & Girls Club, Best Foot Forward, and Orange County planning and engineering recently met regarding ways to engage local residents and remind people about their responsibilities when driving, walking and biking. The good news is that Orange County has plans underway to improve signage, lighting and add other engineering treatments to help people travel more safely. OCSO will be cracking down on people driving, walking and biking who violate the traffic laws – such as a driver not yielding for a walker or a cyclist riding the wrong way on a regular basis. Was Crossing the Street Safer in 2015?